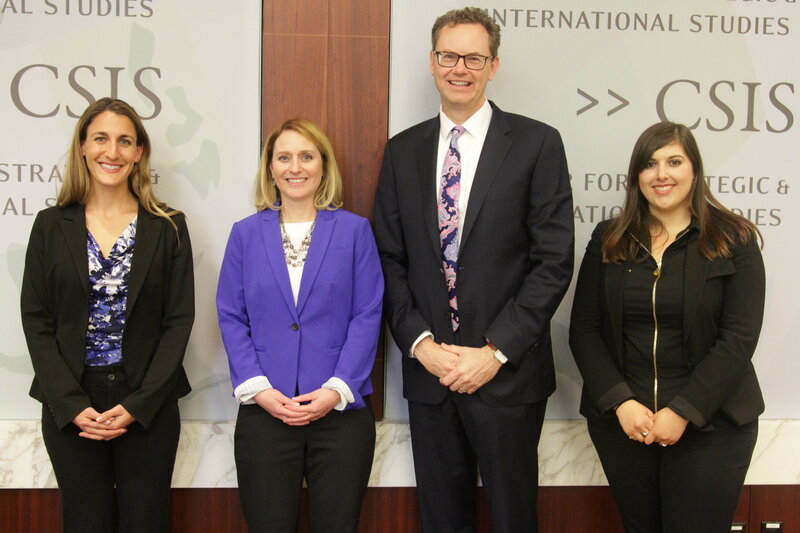 It's our pleasure to send you the May Edition of the ISP Brief, the monthly newsletter of the CSIS International Security Program. The ISP Brief features articles and commentary written by our scholars including analysis as published in various media sources (including video and audio highlights), and links to recent events. We hope the newsletter provides you, our readers, a snapshot of the excellent work underway in ISP, and the engaging thoughts of our experts. As always, your feedback is welcome. The inaugural conference, co-sponsored by the Henry A. Kissinger Center for Global Affairs at Johns Hopkins School of Advanced International Studies (SAIS), featured all women-panels that discussed the changing character of warfare and potential new strategies for the United States and its partners. The event featured a conversation between Mark Cancian and Admiral Christophe Prazuck. They discussed the challenges the French navy faces and the role that it plays in France’s defense and national security strategies. 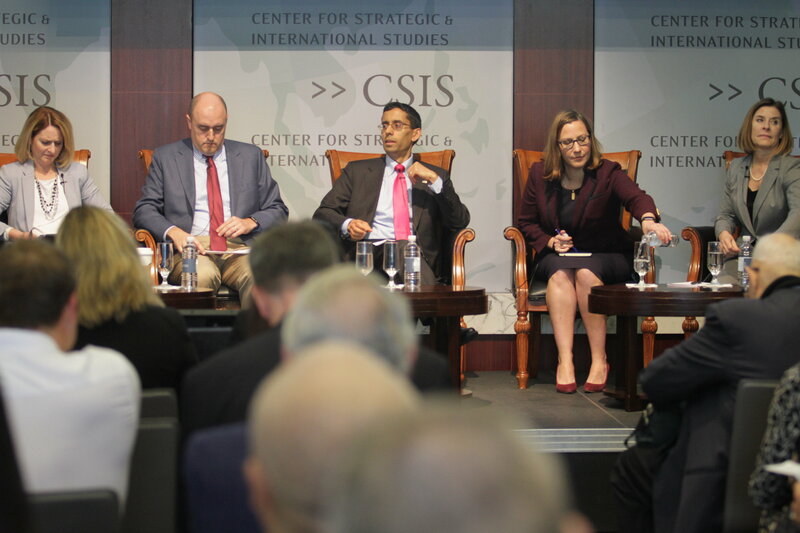 This half-day conference hosted by ISP and the Europe Program, examined historical examples of both successful and unsuccessful attempts by the West to counter malicious activity in the gray zone, reviewed today's current challenges from Russia, China, Iran, and North Korea, and discussed how the West could adapt moving forward. READ "John Bolton just weakened America’s cyberdefenses" by Suzanne Spaulding. READ "Shield of the Pacific: Japan as a Giant Aegis Destroyer" by Tom Karako. READ "Imagining a Cyber Surprise: How Might China Use Stolen OPM Records to Target Trust?" by Ian Brown. READ "American security assistance needs to fit with larger foreign policy goals" by Melissa Dalton and Hijab Shah. READ "Counterterrorism in an Era of More Limited Resources" by Sarah Bast. READ "DoD’s Report on the Investigation into the 2017 Ambush in Niger" by Alice Hunt Friend. READ "Developing a Containment Strategy in Syria" by Seth Jones. READ "The Accompany They Keep: What Niger Tells & Us About Accompany Missions, Combat, and Operations Other Than War" by Alice Hunt Friend. READ "Defense Acquisition Trends 2017: A Preliminary Look" by Rhys McCormick, Greg Sanders, and Andew Hunter. READ "Reducing the Human Costs of ‘By, With, and Through’" by Melissa Dalton, Daniel Mahanty, Hijab Shah, Julie Snyder, Jenny McAvoy, and Kelsey Hampton. READ "The Gathering Health Storm Inside North Korea" by J. Stephen Morrison, Victor Cha, Rebecca Hersman, Kee B. Park, Mark Dybul, Margaret “Peggy” Hamburg, Ambassador Jimmy Kolker, Nancy Lindborg, and Christine Wormuth. READ "Syria Is the Current Theater for Strategic Competition: Time to Step Up" by Melissa Dalton and Timothy Robbins. READ "The Pentagon's Transparency Problem" by Loren DeJonge Schulman and Alice Hunt Friend. READ "Book Review Roundtable: Is the Pentagon at War Against America’s Presidents?" by Rosa Brooks, Jason Dempsey, Alice Hunt Friend, and Matthew Moten. READ "Civilians and 'By, With, and Through'" by Melissa Dalton, Daniel Mahanty, Hijab Shah, Julie Snyder, Jenny McAvoy, and Kelsey Hampton. LISTEN - Moonstruck's fourth episode featured Smithsonian National Air and Space Museum Curator Margaret Weitekamp and NASA Astronaut Dr. Jeanette Epps. 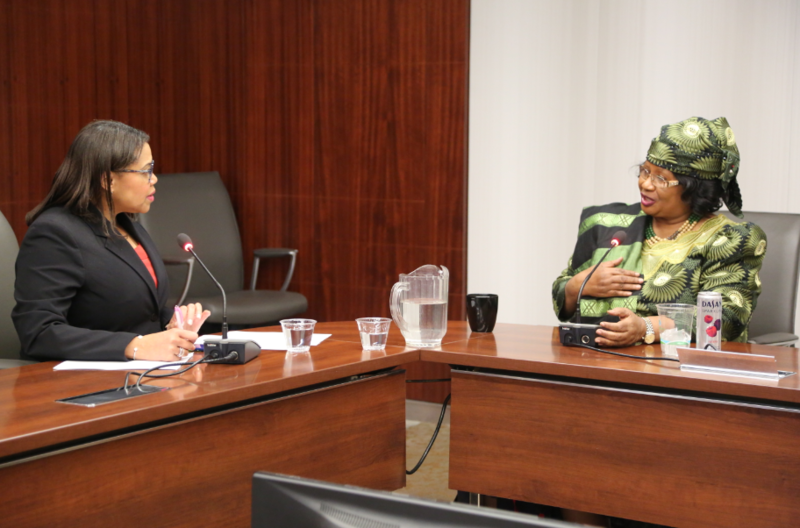 LISTEN - Dr. Joyce Banda, former President of Malawi, joins Beverly Kirk to discuss educating and protecting young girls and improving maternal healthcare both in her country and in other developing countries. She also discusses the relationship between U.S. and African countries. WATCH - Todd Harrison was featured in a BBC video feature titled "Could Trump’s ‘Space Force’ become a reality?" by Angélica M. Casas. 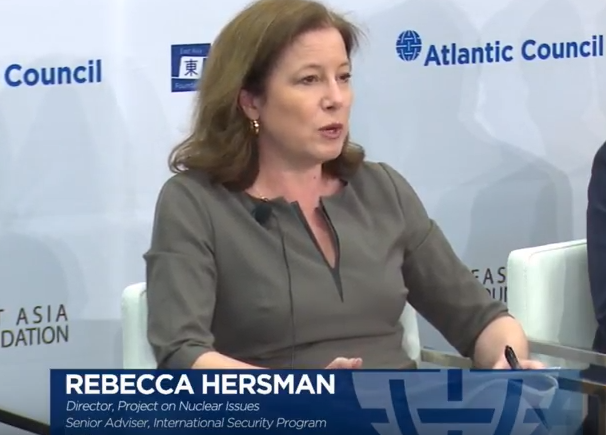 WATCH - Rebecca Hersman participated in a panel on the denuclearization of the Korean Peninsula at the Atlantic Council's East Asia Foundation Strategic Dialogue. 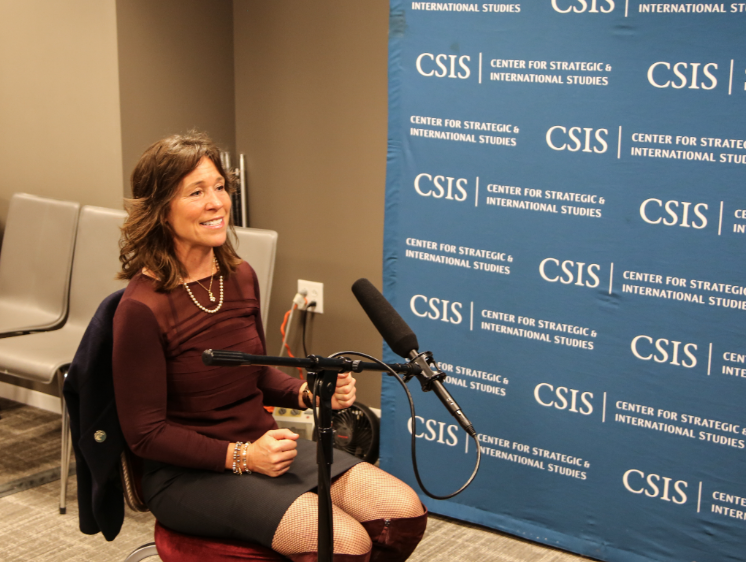 LISTEN - Dr. Kori Schake, Deputy Director at IISS and Research Fellow at the Hoover Institution, discussed her book “Safe Passage: The Transition from British to American Hegemony” and how these historical contexts can be applied to current conflicts with China and Russia. "European allies will continue to prefer a dual tracked diplomatic and pressure approach with Iran," - Melissa Dalton in The National on May 28, 2018. “Milley and Breaking Defense have put their finger on a continuing problem: how to compare security spending in countries with different economies and budget practices,” - Mark Cancian in Bloomberg on May 25, 2018. "I watched this portion of @realDonaldTrump's speech at the Naval Academy today, and can't let it go. In just 2 minutes he makes at least 6 factual errors." - Todd Harrison mentioned in The Hill article on May 25, 2018. “On a very fundamental level, it leaves them everything they would need,” - Ian Williams in Politifact on May 22, 2018. “We’re hearing a lot of good words about a space sensor layer. But as of right now it has not been translated into programs and budgets,” - Tom Karako in SpaceNews on May 20, 2018. “Everything I heard about CHIRP was that it was a great success,” - Todd Harrison in SpaceNews on May 16, 2018. "There’s a budget agreement in place that sets the topline and few policy issues that could derail the process," - Mark Cancian in Inside Defense on May 15, 2018. "There's no time like the present to modify our current missile defense posture," - Tom Karako in CNBC on May 15, 2018. “The soldiers didn’t seem to have intelligence that had caught up to the fact that the nature of the threat evolved,” - Alice Hunt Friend in The Hill on May 12, 2018. “When [the Iranians] feel like they have their backs against the wall, typically, they lash out,” - Melissa Dalton in Al Monitor on May 8, 2018. “For combat vehicles, they only credit funding for next generation vehicles, because that’s how they defined that priority. But the Army is spending a ton of money this year and next on combat vehicle upgrades,” - Andrew Hunter in Breaking Defense on May 8, 2018. "Nothing has happened to require additional funding, and the outyear profile in the FY-19 budget should have reflected the strategy's requirements." - Mark Cancian in Inside Defense on May 3, 2018. “It seems that if we continue on our current pathway, we’re on our way towards creating a semi-autonomous region in northeast Syria,” - Melissa Dalton in Syria:direct on May 2, 2018. "Establishing U.S. Space Command as a sub-unified command elevates space operations on par with Cyber Command, which is something the HASC has been advocating,” - Todd Harrison in SpaceNews on April 30, 2018.